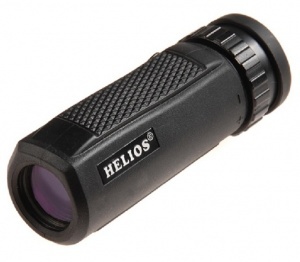 The Helios Rapide 10x25 monocular features quality BK-7 prisms and fully coated optics throughout, with a fully multi-coated objective lens. Compact, lightweight and easy to use. Rubber armoured with knurled grips and twist-up eyecup. Supplied with wrist cord and soft case with belt loop.